a banana a day.... ? I know that what I am doing right now is what God wants me to be doing. I serve Him, and love His work. I´m working on a list of things to remember. But the truth is there are three things that are crucial to maintain the Spirit: Sincere Prayer, Earnest scripture study, and participating in the sacrament each Sunday to receive a remission of our sins. The Gospel gives us the strength to do what we can´t, and to love what we can. I don´t have anymore time to write, but no worries, I´ll be filling you all in. I know that the gospel of Jesus Christ has been restored through a Prophet of God. We have a living Prophet today who leads and guides us. The Book of Mormon is the work of God and it brings us closer to Him. Christ is my Savior, He lives, and I will Walk with him. OK so not much time this week, but we had some really special experiences. The one that hit me the hardest I think was on Sunday morning. Sundays we get up early so we can go and get all of the people we are teaching, and take them to church. We don´t have cars, and the bus system is basically non existent on the weekends, therefore we walk.... a lot, nothing out of the ordinary. We went to get all of the people we are teaching but despite all of our efforts only 2 made it to church, one of which was a miracle, I love those:). So after having looked for all of our people, we were feeling a little down, but we decided that that train of thought would not get us anywhere productive. On our way to church there was a young man probably about 20 sitting on a doorstep, and I felt something pull me to him, so I asked him,¨what are you waiting for?¨ he said ¨huh?¨ I repeated the question and he asked why and I said because it looked like he wasn't doing anything. We invited him to come with us, the Church was two more blocks down the street. He said he already knew the church. Well that's an interesting statement. Further on in the conversation we learned that he had been baptized in Moreno, another area, when he was 16, and that he had believed what he had learned. But he didn't want to go with us. Or give us any information so we could find him again. We gave him our number. but I felt like he was really hurting so with a prayer in my heart I told him just how much God loved him, and that He knows what he´s going through. ¨Your Heavenly Father wants you to know that He loves you, and he wants you to find happiness¨ his eyes watered and I just wanted to take all of his hurts away. We talked about the sacrifice of Christ, and the opportunity we have to give Him our burdens. I asked him if he still had his Book of Mormon, he said no. I smiled and said, I have a gift for you, pulled one out of my bag, marked a few passages and gave it to him. He said ¨I still won´t come, but I´ll read¨ His name is Jonathan, so if you all would pray for him, I´d appreciate it. I love you all. "The Standard of Truth has been erected, no unhallowed hand can stop the work from progressing!!!!" The work doesn´t end. Once a missionary always a missionary. 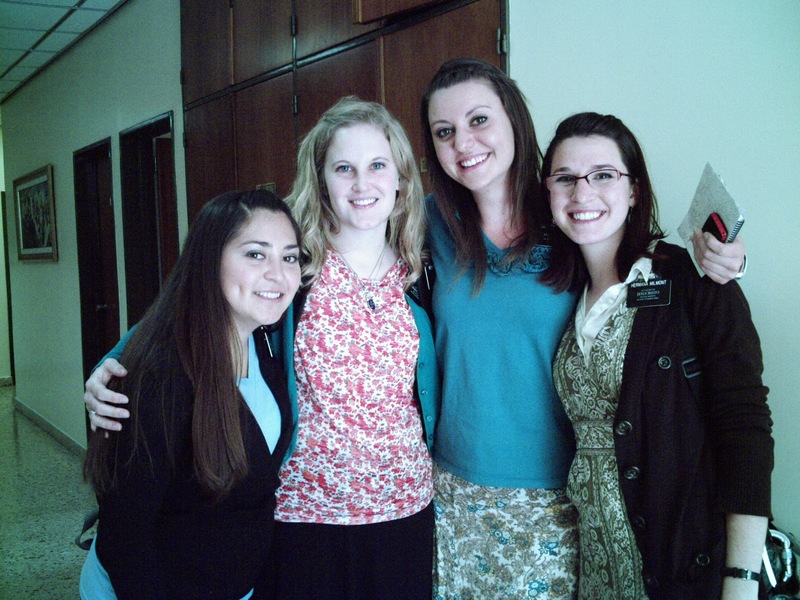 Members of the Church have a unique opportunity to share the Gospel with those whom they love. The circumstances change, relationships are different. But the doctrine is the same. God has said ¨for behold this is My work and My glory, to bring about the immortality and eternal life of man¨ that's the doctrine. God loves each and every one of us. He wants us to come home. We all agreed to come here. I feel that we knew somewhat of our future circumstances. Those who would not be born in the Gospel, made the decision to come anyway, acting on faith, it was a big risk. They put their salvation on the line. They trusted in the promise that each would have the chance to hear the blessed news of the Gospel of Christ. Trusting that they would be found. Trusting you and me. That trust was based on experience we had with one another before this life. My companion and I were talking about this the other day. I said that if I hadn´t been born in the gospel, I don´t know if I would have had the faith to come here, knowing that I might not see my Heavenly Father again. But as I pondered I felt the Spirit whisper that I would, and he told me why. Knowing my brother, my companions that I have had, my family, my dear friends, the many people whom I love here in Argentina, I have no doubt that they would find me. I know them, and I know the kind of people they are. They don´t give up, they work to feed Christ's sheep, and find His lost lambs. That's who they were from the beginning, before the world was, and that's who they continue to be. The Lord is gathering His children, and he´s doing it through each one of us. A whole new generation of missionaries are coming to the field. And another is returning to the fields where they began, to continue the work, and establish peace and joy in their homes. Having been commissioned of Jesus Christ, we will all Press On in the Work of the Lord. I love you all. Stay safe. Study the words of the Prophet. Pray to receive testimony of their words, Act on that witness that you Will receive. Painting! Only new members let us do service. Each week we make very... very extensive plans for all of the people we teach each week. Starting on Thursday going through the following Sunday (ten days) it's a true test of faith for me. 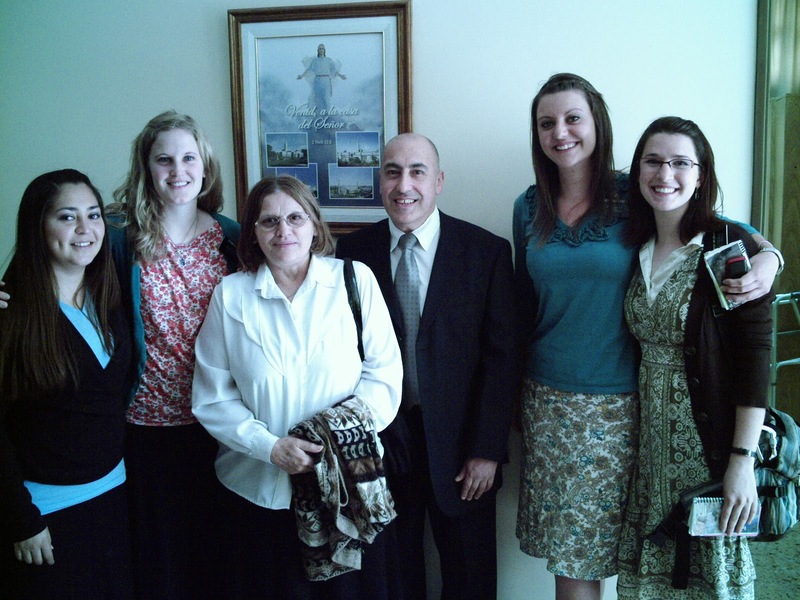 In Argentina, many don´t think farther ahead than 24 hours... therefore, planning appointments with someone for the following week is 100% faith that the Lord will help that appointment follow through, and if not that another plan will emerge. This week I was able to see the blessings of preparation. We made plans.... a ton of plans, with members to go with us, and what we would be teaching to whom, and how we would help them increase in faith. Most of those plans fell through, but as we trusted in the Lord, and went forward we ended up helping a lot more people than we had imagined. It's comforting to me that plans can change, and that God plans too. He see´s the big picture. So when my limited understanding see´s the disintegration of a very planned out day, its ok:) because God has a better plan. The key is that we put in our part. We receive blessings as we prepare, and act. He takes our preparation and our forward movement and directs where it will be most effective for His purposes. I love you all. Stay safe and make preparations. Silvie!!! Who I was teaching in my previous area, Vicente Lopez, got baptized 4 weeks ago!! !